Lazarus James, a Form Four student at Makiungu Secondary school is given sorghum crop for his food when he is at school. 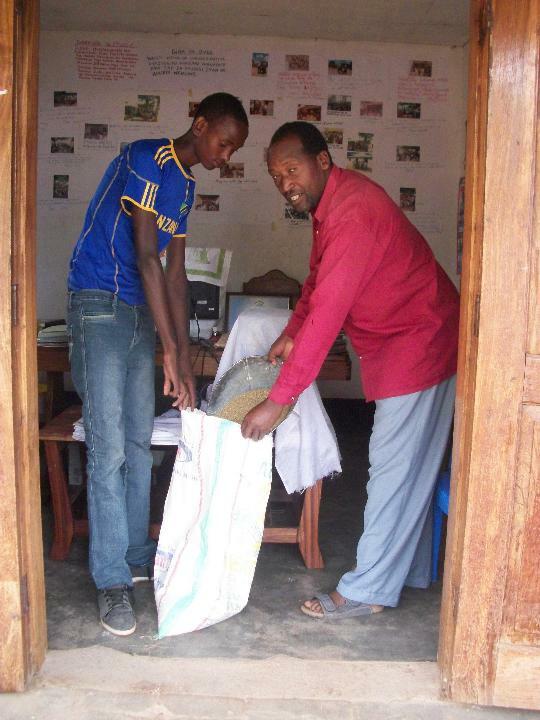 on the picture is one of the OVCC member giving the student Lazarus James that kind of crop for his food while their arte in the OVCC Office on 20th Jan, 2013. Many orphans students and non-students cme to the OVCC office to ask for a help when their are in most desperate needing food, school materials, etc, especially in these hard time period of food shortage from January to April almost in each year. The orphans children around in the villages need to be closely cared for. Anwani yako ya email haitachapishwa.